Since the start of the 2016/17 season, Jordan Ayew has scored one Premier League goal every 525.8 minutes, Christian Benteke has scored every 317.2 minutes, Connor Wickham has scored every 234.5 minutes, and Alexander Sorloth is yet to score in 533 minutes. In that same time, Michy Batshuayi has scored one Premier League goal every 84 minutes. The Belgian has admittedly benefited from playing in a more attacking team surrounded by better, more creative players, but his opportunities came increasingly fewer and further between at Chelsea. Crystal Palace offer him a fresh start that suits all parties. Batshuayi’s loan spell with Valencia was disastrous, but his nine goals in 14 games in six months with Dortmund last year is far more indicative of a player who tends to take the chances he is afforded. 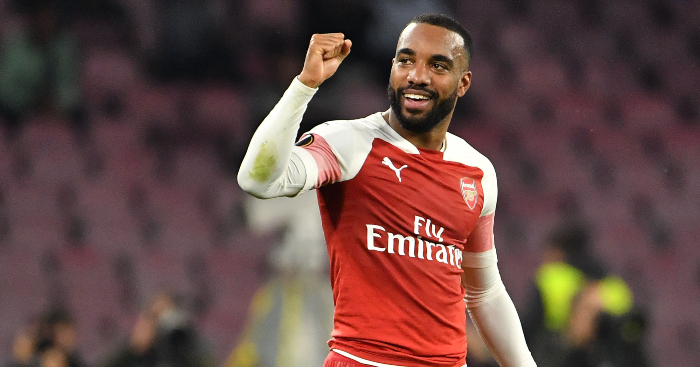 Chelsea have found a happier home for a striker they once bought for £33m, and Palace are more than willing to accommodate him. There is a reason Roy Hodgson was desperate to add to his attacking options. Palace have scored more goals (24) than only Newcastle (21), Cardiff (20) and Huddersfield (13) this season, and Wilfried Zaha was understandably starting to buckle under the strain of expectation. Batshuayi will help share the burden. A lovely sentiment but deadline day provided an opportunity Palace could hardly refuse. Last year saw them bring in Sorloth on the final day for £9m; few would argue this is not a vast improvement. Batshuayi will also relish the chance to prove himself on these shores, having started just four Premier League games for Chelsea since the summer of 2016. If Palace can harness the frustration and exasperation he felt every time he was consigned to the bench, they may have made the best signing of the window. No Premier League club signed more first-team players this month, and only Chelsea spent more. Ask those two sides who is more satisfied with their business in this window and it would be a second emphatic victory over the Blues in a matter of days for Bournemouth. Eddie Howe has long adopted a scattergun approach to the transfer market as a Premier League manager. Bournemouth’s first summer as a top-flight club saw them disappointingly fall foul of the bad habits of every promoted side, with Artur Boruc (38), Sylvain Distin (37), Glenn Murray (31) and Adam Federici (30) joining for their fabled experience. Josh King, a 23-year-old who had impressed in the lower leagues, greater embodied their overall ethos. It felt as though Howe was gradually diverting from the beaten path until Jermain Defoe (34) joined last summer. That he is now with Rangers after scoring four goals in 34 Premier League games for the Cherries shows just how bad a deal that was. But Howe has finally returned to his roots and remembered what has made him such a success on the south coast. David Brooks (20) has been a monumental success since arriving in the summer, and Dominic Solanke and Chris Mepham (both 21) will hope to follow in his footsteps as young, hungry British players looking to prove a point. Even the addition of Nathaniel Clyne makes perfect sense. He arrives with vast Premier League experience but is still only 27 and has a great deal to offer in a position where Bournemouth desperately needed reinforcements. It has taken time, but Bournemouth are finally refusing to throw around money for old rope. Howe has established a transfer philosophy, and is at a club who are willing to invest to realise that vision. 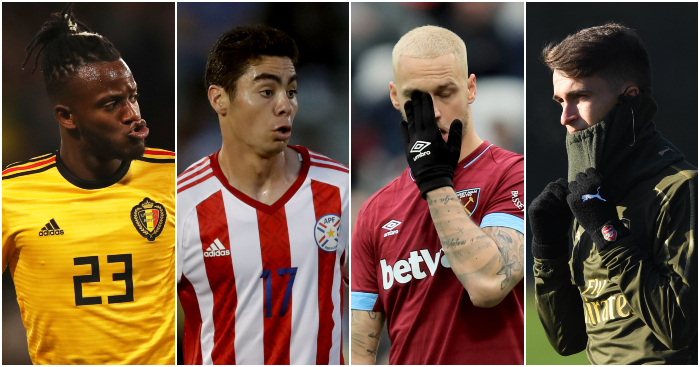 Let the club-record arrival of Miguel Almiron not mask what was a good but not great transfer window for Newcastle. 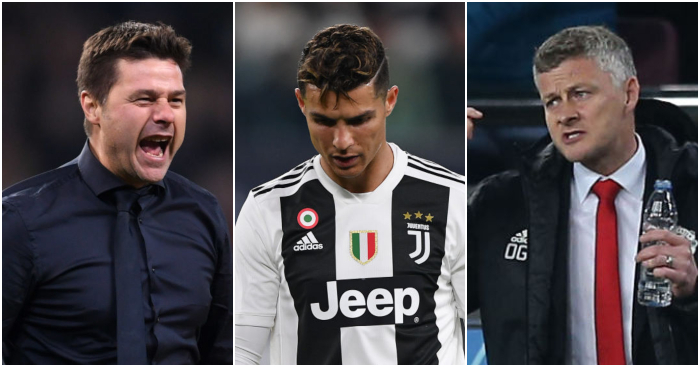 Given an entire month to prove to their manager that they are willing to invest, they waited until the final day to address some, but not all, of the club’s deficiencies. It might well be enough to keep Rafael Benitez at the club beyond the expiration of his contract in the summer. The Spaniard’s frustration was palpable as the deadline beckoned, and he was reportedly willing to leave the club if they did not sign at least two new players. Almiron and Antonio Barreca represent Mike Ashley clearing the absolute lowest of bars. The MLS season concluded in December and will recommence later this month so quite why Newcastle faced such a delay in bringing Almiron in from Atlanta United is a mystery. But he is an exciting playmaker who will adapt to Benitez’s system. Barreca finally provides Paul Dummett with some competition at left-back, but there is still a feeling that Newcastle have done the absolute bare minimum to placate both manager and fans. This has to be the start of the new rule, not merely the exception that proves it. On June 29, Marouane Fellaini offered “a special thank you” to Jose Mourinho, whatever that entailed. The Portuguese, so desperate to keep his favourite comfort blanket by his bedside, allowed Manchester United to be held to ransom by a limited squad midfielder who was given a two-year contract on £100,000 a week. Anthony Martial’s expiring contract was relegated to an afterthought as United tripped over themselves to try and fix the broken marriage with their erstwhile manager. By the time the Frenchman was finally given some attention, it seemed as though the horse had bolted: he was reported to have rejected contract offers as late as October. But, as with their form, Ole Gunnar Solskjaer has sought to immediately right the wrongs of his predecessor. In a single transfer-less month United rediscovered their identity, shipping an ageing, average vestige of a regrettable past off to China and giving precedence to a youthful, exciting forward of the future. Nuno Espirito Santo kept hold of his tightly knit first-team squad despite the constant speculation, adding Jonny Castro Otto on a permanent £18m deal that is almost entirely offset by the £15.5m departures of Benik Afobe, Danny Batth and Dominic Iorfa. Not bad at all. That Leicester have afforded almost twice as many minutes to Under-21 players as any other Premier League club this season suggests swapping 21-year-old Youri Tielemans for 29-year-old Adrien Silva is a wonderful move. With Vicente Iborra also sold for £9m, Claude Puel has turned a profit while bringing in a midfielder he desperately wanted and offloading two he didn’t sign. And he will forever have two games left to save his job and prove it was the right decision. More than any other Premier League club, Chelsea’s winter window is one that can only truly be judged come the summer. When you spend £57m but only add a 31-year-old loan striker with no previous Premier League experience to your squad, it is difficult to draw immediate conclusions. On the face of it, Chelsea made two statement signings. Christian Pulisic is his country’s best player for many a generation, and was only recently one of the Bundesliga’s leading lights. Gonzalo Higuain is a proven goalscorer whose seminal season came under his new manager. But it speaks volumes that both players were available, surplus to requirements at their previous clubs. Pulisic was written out of the Borussia Dortmund story by Jadon Sancho long ago, starting just one Bundesliga game since October. Higuain is embarking on his second loan spell, unwanted by both Juventus and Milan. It could be that both, one or neither of the moves work out. But Maurizio Sarri cannot possibly echo the complaints of his Stamford Bridge predecessors by claiming he has not been backed. He personally sought Higuain, and while Pulisic does not arrive until next summer, that gives the Italian an opportunity to continue overlooking Callum Hudson-Odoi. Suggestions that he needed someone to replace Cesc Fabregas’ 175 Premier League minutes this season will rightfully fall on deaf ears. Sarri himself admitted he was “bored by the transfer market” at his Chelsea unveiling, and that he prefers to improve the players already at his disposal. Time to offer some proof. 2017’s emergency loan for Hull becomes 2019’s Cardiff rescue mission. Oumar Niasse’s record of 12 Premier League goals in 28 starts is deserving of a far more flattering reputation than that of £13m flop. But if he can improve on the four goals he scored in vain as Hull were relegated two years ago, Cardiff have every chance of staying up. It feels as though they probably shouldn’t have loaned a specialist right-back out when, 26 days later, they are forced to play Jordan Henderson there. But then that is pure hindsight; Trent Alexander-Arnold suffered his injury eight days after Nathaniel Clyne left for Bournemouth. Mind you, they did sell a player who hadn’t made a single Premier League match-day squad all season for £19m. And they finally shoved Lazar Markovic out the door. It more than balances itself out. Premier League clubs mired in a relegation battle often panic and spend outside of their means. That was never a danger with Dean Hoyle, and preparing for a likely return to the Championship is a regrettably unsexy but sensible approach. Well done to all for just refusing to get involved. But mainly to Southampton, who still have about half a right-back yet managed to sell Manolo Gabbiadini for £12m. Lovely to have you back, big man. An overall Premier League spend of *just* £180m, and a first year-on-year fall since 2012. Lovely. They entered January needing a centre-half, a creative central midfielder and a winger. They ended it needing a right-back with their first choice ruled out for the rest of the season. 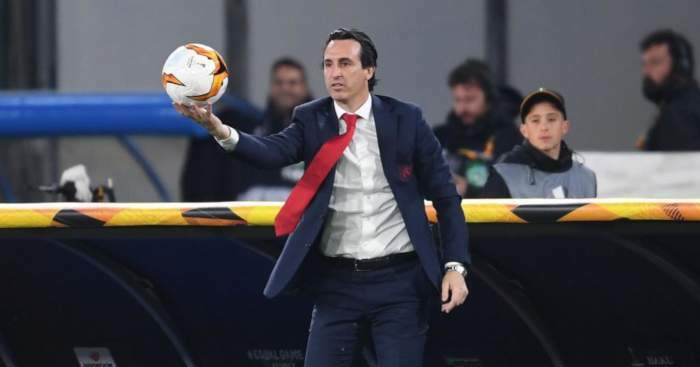 They dealt with the situation in the most Arsenal way possible: signing a player who described his preferred role as “a midfielder…in a similar position” to Andres Iniesta in his first interview, while Unai Emery seems to envisage him as a wide player. Denis Suarez may turn out to be a valuable addition to the squad – Barcelona signed him in the first place for a reason, after all – but he has plugged one gap in the boat while water continues to pour in through a gaping hole at the other end. If Arsenal’s defence for not reinforcing their defence is a lack of money, that was a problem of their own creation. And there were 174 days in between the closure of the summer and winter transfer windows, which was more than enough time to identify and pursue attainable targets. 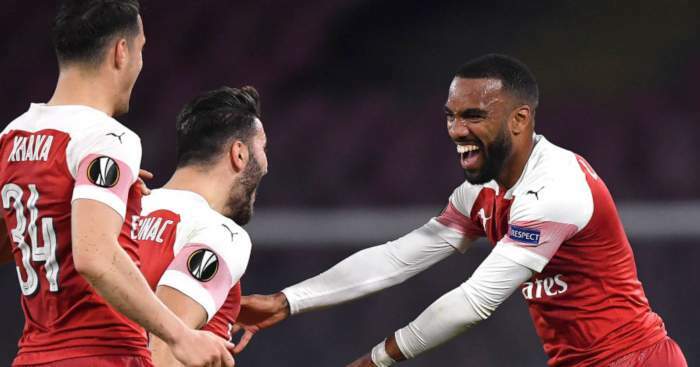 Instead, Arsenal did what Arsenal do: they leaked rumours of interest in Ivan Perisic, Yannick Carrasco, Christopher Nkunku, Idrissa Gueye, Youri Tielemans, Malcom and many more all the way up until a deadline day that was summed up by their decision not to send a player with 18 Premier League minutes – that’s career, not season – out on loan because they felt they needed him. With the imminent departure of head of recruitment Sven Mislintat also confirmed this month, Arsenal’s post-Arsene Wenger revolution already feels rather transparent. They are fourth, they have two viable routes to Champions League qualification open to them and Emery is already working semi-wonders with a semi-squad. But, as ever with the Gunners, there is a lingering feeling of a job half-done. Quite why there is a desperation among football clubs to employ a director of football, head of recruitment or chief scout is a conundrum. Why not act like you are a five-a-side team and just ask your best player if any of his mates are available? ‘The club is delighted to confirm the free transfer signing of 24-year-old winger Lazar Markovic from Liverpool on a deal until the end of the season,’ Fulham stated in the early hours of Friday morning, adding that they had ‘received very good recommendations from Aleksandar Mitrović regarding the player’. An entire month of trying to fulfil Claudio Ranieri’s plea for “leaders” culminated in the arrival of a player who has started five first-team games in all competitions since May 2017, and with scouts and analysts rendered inconsequential on the word of a striker. The reaction said it all: the only ones celebrating the move were Liverpool, as Fulham fans wondered quite how this slight winger would solve their right-back problems. With winger Ryan Babel and midfielder Havard Nordtveit also joining, the Premier League’s worst defence somehow remains entirely intact. Good luck, Claudio. What a huge shame that an 18-year-old might well be punished for his ambition. The misguided hope is that Chelsea refused to let Callum Hudson-Odoi leave for Bayern Munich because they plan to use him, but the winger has played marginally more minutes than Gary Cahill and Willy Caballero this season. If even just six months of his nascent career are to be wasted on the sidelines for the sake of club pride, Chelsea ought to reevaluate their priorities. Either keep the player and use him, or sell and reinvest. The Blues had been masters of playing the market to their advantage until this month. The mask has slipped: the West Ham that looked so stable and settled have reverted to the batsh*t mental mean in record time. The Hammers ought to be accustomed to being used as a stepping stone to greater or more lucrative things. They have had entire seasons derailed by the distractions of wantaway players before. But Marko Arnautovic is no Dimitri Payet; he is a solid to middling Premier League forward who has been placed on an explicable pedestal that far outstrips his worth and quality to the club. Yet West Ham rejected a ludicrous offer for a replaceable 29-year-old in their desperation not to be seen as a selling club. They will be fortunate to receive a similar offer in the summer, and they would be stupid to turn it down once more. That the club subsequently offered the Austrian a new contract after it was reported that they told him he can leave summed up the entire confused mess – and the sight of him leaving Molineux on crutches after the Wolves defeat added injury to insult. It will take more than a few references to bubbles and some crossed-arm gestures to save face this time. The headline statistic, as bellowed on Sky Sports News, was that they are the first Premier League team to ever sign no players in consecutive transfer windows, which is hardly surprising when you consider they were the first Premier League team not to sign anyone in a summer transfer window. Jim White had been sitting on that one for months, bless him. The truth is that the potential negatives of a new signing far outweighed the possible positives. That Tottenham spent the final days of the window desperately trying to offload Vincent Janssen tells a story of a club who can no longer afford to panic themselves into buying the wrong player for the sake of appeasing a disgruntled fanbase who simply want to see a new face. Tottenham’s main mistake was not in the winter but in the summer, when they recruited no-one despite having longer to pinpoint areas they needed to improve. Their issues would have been compounded further with short-term half-solutions, which is what the January transfer window tends to offer. The end of the season is a far more suitable goal for long-term planning. Mauricio Pochettino has made three signings in seven January transfer windows as a Premier League manager; if he makes a move, he would rather wait patiently for Dele Alli or Lucas Moura to fall into his lap, rather than having Vegard Forren foisted upon him. That said, an already stretched squad has been unnecessarily weakened. Mousa Dembele and Georges-Kevin Nkoudou have played 11 Premier League minutes between them since the start of November but they were options in a side increasingly shorn of them. This was not a disastrous month by any means, nor was it a positive one. You can sell the £25.5m departures of Brahim Diaz and Rabbi Matondo as either a positive or a negative, depending on your club allegiances. But Pep Guardiola’s justifiable decision not to cede to exorbitant wage demands and to wait until the summer to rectify their central midfield problem could eventually cost them the Premier League title. The margins really are that slim. Wait til the wife reads his bank statement to see the £20m he paid to Atlanta United.